Argan Stem Cells support vitality for stronger strands with less breakage as argan oil nourishes and conditions for flexible strength and smooth manageability. 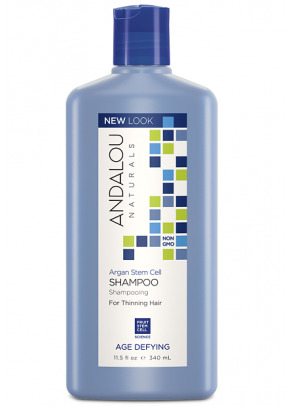 The shampoo prepares hair and scalp, washing away toxins, debris and excess sebum that can block follicles. The result is noticeably fuller looking hair with amplified body, volume, and shine. 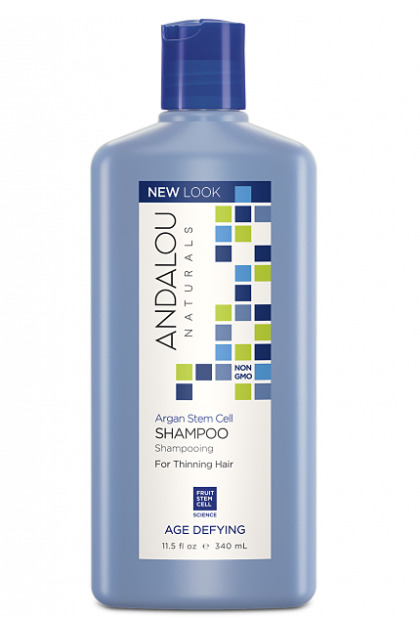 Argan and Fruit Stem Cells (organic): Improve hair follicle longevity and vitality for healthy hair from root to tip. Vitamin B Complex: Infuses essential protein and nutrients to invigorate scalp for thicker, fuller strands with improved strength, texture and shine. 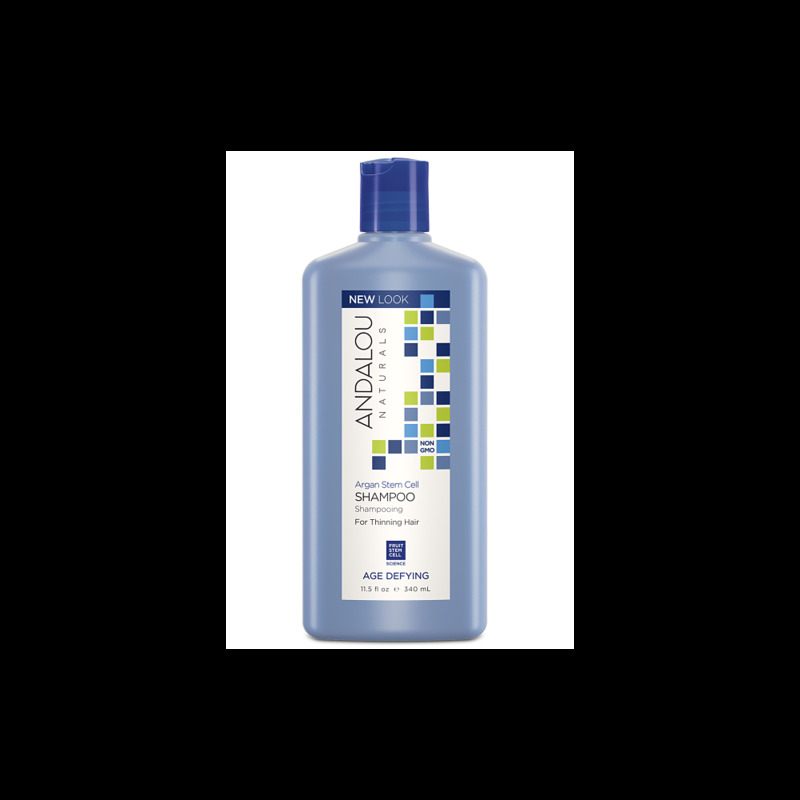 Hair Regeneration Complex A: triple-action ingredient for reducing the quantity of hair loss. Includes coltsfoot, yarrow, quinine bark and meadowsweet extracts, cysteine, glycosaminoglycans. Cysteine: An amino acid that fortifies protein structure and supports collagen formation for improved texture, strength and longevity while neutralizing free-radical scavengers that inhibit healthy hair growth. Meadowsweet Extract: An anti-seborrheic ingredient with regulating properties to help balance sebum production, counteract bacteria and reduce inflammation that contributes to hair loss. The shampoo also contains other moisturizing and nourishing natural and organic ingredients: organic oils (argan, grape seed, jojoba, flax, cedarwood, ylang ylang, clove) organic extracts (aloe vera, white tea and hibiscus) and vitamin E. Please see detailed list of ingredients for more information. Un produs dens, cu un miros surprinzator de mirositor de lavanda (in mod placut), care imi face un par matasos si ii da volum. Mai mult, am observat ca parul se ingrasa mai greu. In concluzie, este un produs de calitate care isi merita banii.